thats a gr8 write up and a beautiful cake there! 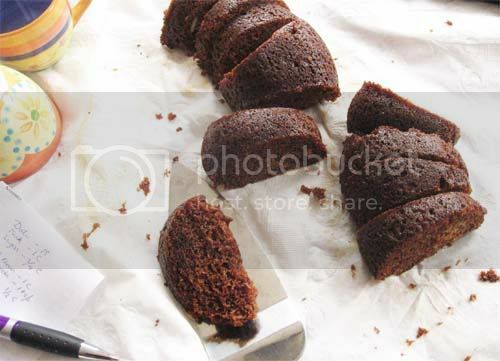 Yes this is the best eggless cake ever, I have this recipe on my blog too. May be your friend got it from the same book that my aunt got it from. Your date cake looks beautiful. I had seen your date cook too but never read thru the recipe because I wasn't sure of the taste :). I was weary of cakes without eggs and butter. But now I am a convert. It really is better than anything. For all you know my friend must have got it from someone/somewhere which ultimately leads to your blog !!! Oh and Shilpa, I read your recipe again and you say to serve with vanilla ice cream. Well my friend almost always serves this with vanilla ice cream. So then I guess your blog must have been the original source though my friend does not read blogs. I went with butter less choco cake but not eggless ... This one sounds perfect in all way to start an Healthy Year! i tried looking for baking soda in grocery stores here, but they always give me baking power :( is it also called khaane ka soda? the one that's used to soften chana and stuff? Love the color of this date cake. Perfect texture and eggless too. So spongy and healthy cake,looks attractive..
What tires me about baking is the sifting, the creaming and the mixing - yeah, that's practically everything - so I'm looking for cakes that don't have these steps. Not having to cream butter and sugar is a big plus, for a start. I'm yet to find a food processor recipe that will mix the entire thing in one go! Can't be simpler than that. Got to try. Looks so good too. You can't be modest anymore, you are becoming quite the baker. Happy New Year! again Sandeepa. I saw your cake in the reader. Going over now. But all my prev eggless versions were not this fluffy, less soda in those or something. Will try more now. I think that one is baking soda. Check with someone who has bought it. It is really good, if I say so myself. Secret, secret. I did not sift. I wrote that 'coz it sounds fancy. I just dump flour, baking soda in a bowl and mix with a dry spoon. No creaming here either which I don't like much. This is almost put everything in a bowl and mix kind of cake. It tastes great on its own too (w/o the vanilla ice cream). Love the cake and your cups even better. Happy New Year to you and your family. Eggless cake sounds delicious. Will have to try sometime. Haha...read your secret comment to Sra... and I can join you both at the non-creaming, lazy-to-sift dept.! :) Shh, secret, don;t tell anyone! I have made butter-less cakes that use oil instead and they are light and taste great. Sandeepa ei recipe ta holo shonar pathorbati. akjoner blog theke ami korechilam and we loved it...guilt free ar ki chai bolo? rangta khub bhalo hoeche. eggless cakes.. i always shy away from them..maybe u cud send me one to taste. :)) i am not so far..wishing u a glorious year ahead. 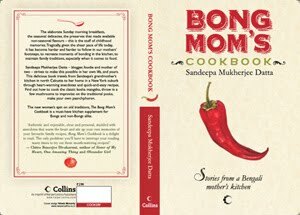 You have a wonderful talent for writing(both the story part and the recipe part)..
Sandeepa if possible check this link. if am not wrong the blogger is using your picture. It is so delicious..thanks for the explanation abt baking soda and fluffy cake..good to know. Wow! Baked the cake today and must admit this is one of the most yummy cakes I have baked and tasted in the recent years. Thanks for the recipe. Read the latest post of yours on Blog block. Am able to connect easily with it. Hope you get the answers to all your queries and strike a balance between your passion and family and come back soon. Best wishes, take care. Sandeepa, just wanted to let you know that i am one of those who have read and enjoyed your posts immensely without ever having posted a comment! When i saw your last post,I realised that the least i could do is thank you! So while fully respecting your decision, here is very selfishly hoping that you change your mind very soon! Will definetely miss your writing, recipes, pictures. Respect your wishes but hope you will miss us and be back soon!!!! The cake is in the oven right now and has 10 min left to the 30 min mark however it shows NO signs of turning a nice dark color like your picture- I didnt see any cocoa in your recipe so what am I missing?!?! I slowed down last year - I totally can relate few things with you blogging and kids. Spending time with family is a HIGH priority. I do respect ur resolution, but once in a while u can run a post. 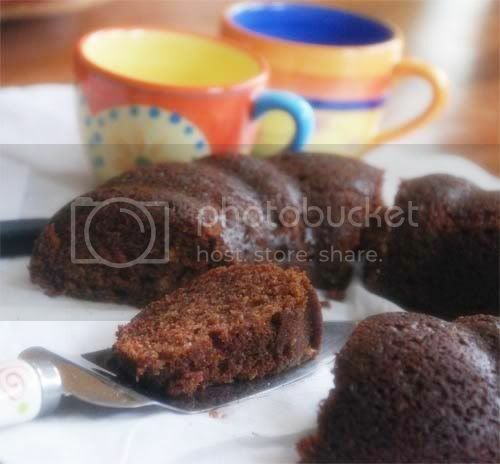 CAke looks nice and moist with all those healthy dates in there! 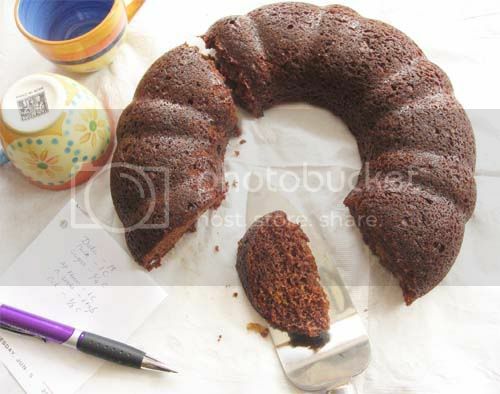 Hi soft looking cake liked it for it's egg free recipe.. I tried your olkopir dalna it came out well and we enjoyedt it thank u so much for the recipe i book marked som more recipes from u will try them also and let you know thanks once again for this flavour full dalna.. THANK YOU SO MUCH....I DONT THINK I WILL EVER BE ABLE TO THANK YOU ENUF EVER...THANKS THANKS THANKS. shei shokal theke khule rekhechi, ei ekhon likhte boshlam. Never made a date cake. and this sounds really good, simple and easy. This looks really good - I can't wait to try :) - however, what is "AP" flour? Is this regular maida flour? I tried the cake - it was lovely! And missing your updates ... though life outside of the virtual world comes first! the traditions going while maintaining a busy life with a career and kids! I baked this one today and my daughter who has aversion towards dark looking cakes ate 4 pieces. Thanks for sharing. Hello, first time here, came via Nupur's One hot stove. I am actually 'floured' by your blog and especially this cake. I have beem a foodie all my life, turned blogger recently and had to give it a try. 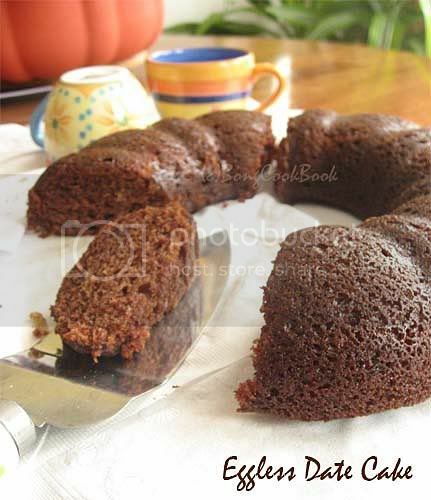 Just had a bite of the cake I baked, it is super moist, fluffy and I love it, it is a keeper. Thank you and to your friend who generously shared the recipe, I will be back on your blog. Hi Bongmom, I tried this cake with wholewheat flour (atta) yesterday and I'm obsessed! I brought 2 small(ish) pieces to work today, and couldn't rest until I finished the last crumb, a few minutes back. Thanks for posting this! I remember seeing this recipe a few year back, but I've got to say, it was your description that goaded me to try it! Baked the cake today, my first time for an eggless cake so was very apprehensive and must say that it was excellent and relatively simple as well.Thank you so much.